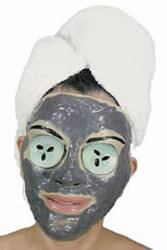 Facial mask. Made of soft vinyl. Towel not included. One size.